This is a very simple and healthy salad that can be made in just few minutes. It's a great, light snack or the same can be converted into a yummy raita by adding some yogurt to it. 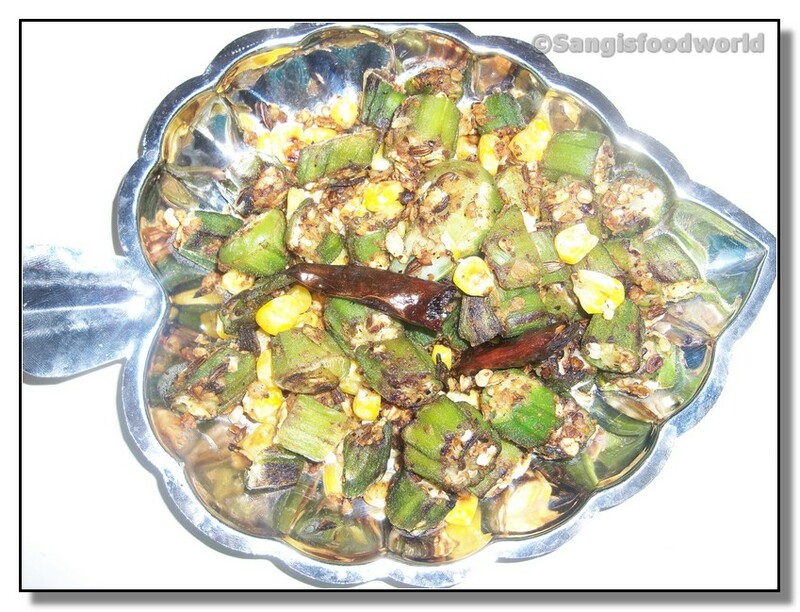 I have the used the traditional seasonings for this salad to give it that Indian touch. Dry red chilly - 1 no. Heat oil in a pan, add cumin seeds, dry chilly and let the seeds sizzle. Add okra and fry until they loose their stickiness and get 3/4th cooked. Add the boiled sweet corn to this and turn off the heat. 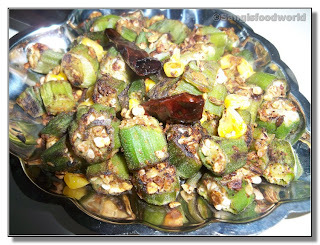 Now finish the salad with pepper, salt, lime juice and chaat masala. 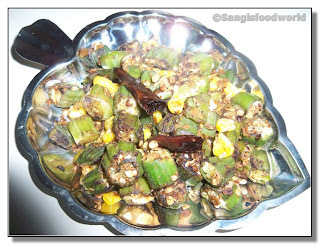 Very interesting, new and healthy combo..thanks for sharing this salad Sangeetha..
Okra n corn..never thought of this combo before in a salad..looks delicious, nice recipe dear!